Everyone knows the stories about sleazy car salesmen selling second hand cars that will fall apart before the buyer gets home. And most people are pretty good at recognizing these places. Tacky signs out the front, a dodgy looking shed for an office, and a surly looking salesman in an ill-fitting suit are pretty good give-aways. But what people discuss less is dodgy private sellers. Not that people don’t know they exist, they’re just less obvious to a lot of people because they’re not as spoken about. So this article is here to give you some tips for making sure you don’t buy a car off a dodgy private seller. Are They Upfront With Basic Information? Simple questions about these items should get, well, simple answers. A good seller will be upfront about the condition of the state of the car. Perhaps they’ll be a little sheepish to admit the CD player skips or one of the speakers doesn’t work, or maybe the brakes need replacing sooner rather than later. But ultimately, they’ll give you a fairly usable answer. When the seller starts trying to deflect or give vague, roundabout answers, it can be time to worry. Are They Willing To Let You Inspect The Vehicle Before Purchasing? This is a major red flag. 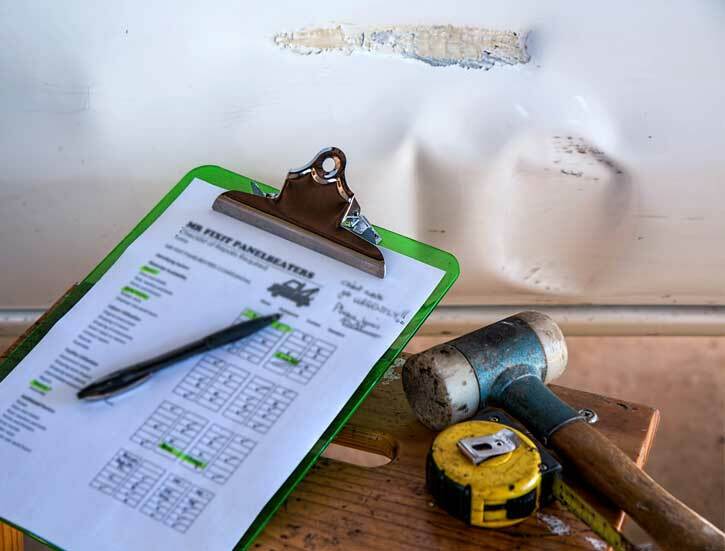 If someone won’t let you, or an independent, professional third-party, inspect the vehicle prior to purchase, stop everything and look elsewhere for a car. Any vehicle, be it from a private seller to a used car dealership to a factory-new showroom, should be made available for inspection. Obviously, with a dealership or brand new car it won’t be terribly necessary to grab a professional to give the car a look-over. But you’ll be able to at least look at it and, generally, give it a test drive. Anyone who refuses to let you inspect the vehicle prior to completing the transaction is having you on and should be avoided at all costs. Are They Being Overly Aggressive? Aggressive sales tactics aren’t just the domain of salesman: independent sellers can be equally aggressive. The difference is, private sellers can be violently aggressive, bordering on harassment and assault. The second someone starts trying to berate you into purchasing their vehicle, go away. Any type of abusive behaviour is never appropriate, much less so when you’re simply trying to buy a vehicle. The sort of person who starts insulting you when you suggest getting the car checked is not one you wish to deal with. Are They Honest About the Car’s History? They can only lie so much about the state of the vehicle, because eventually you’ll have to see it for yourself. Trying to mislead you about the state of the brakes won’t do them well when the car starts rolling down a hill during your first visit. But they can say pretty much anything they like about where the car came from and what condition it’s in, and it’s up to you to prove them wrong. Luckily, there are tools at your disposal to do just that. Getting a PPSR report on a vehicle gives you a comprehensive look at that particular vehicle’s history. Want to know if the car has ever been stolen? It’ll tell you. Want to know if the car has ever been written off? You’ll get that. Want to know if the car is attached to any sort of loan? Heck, that’s how PPSR reports started in the first place. Getting a PPSR report, formerly a REV check, gives you all the information you need to fact-check any seller’s claims. You’ll even get information regarding parts numbers associated with the car. This allows you, or your designated professional inspector, to ensure that all the parts on the car are genuine. If they’re not genuine, there’s a good chance the car has either been stolen, or written off and repaired with stolen parts. Protect yourself from dodgy personal sellers today. Ask them simple questions, and fact-check what they say about the car’s history with a PPSR Report from quickrevs.com.au today.